Spring is finally here… even though it doesn’t feel like it sometimes. My favorite part about spring is of course the weather, but my birthday is in the spring. So it’s the best season in my book. 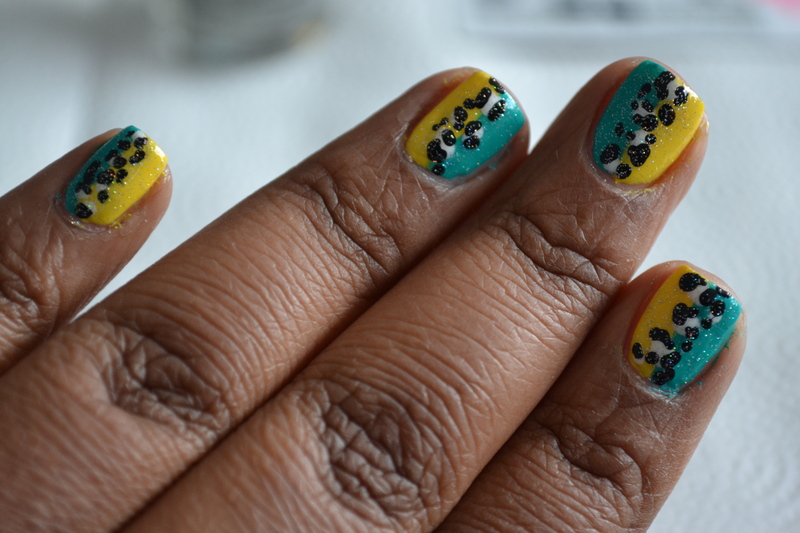 I felt like doing something bright this time around, with a bit of leopard print. So here’s how to do it. 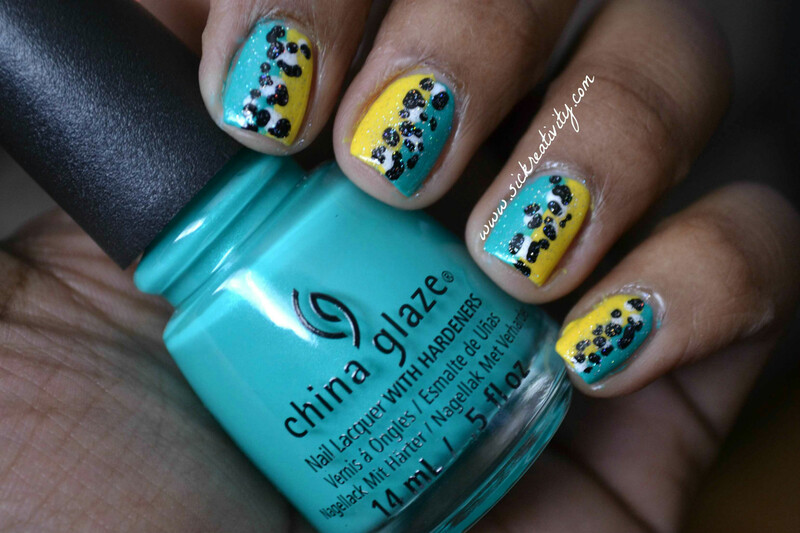 Step 1: After you apply your base coat, take the color of your choice and polish half of your nail. You can alternate colors like I did or you can do the same color on all of them. 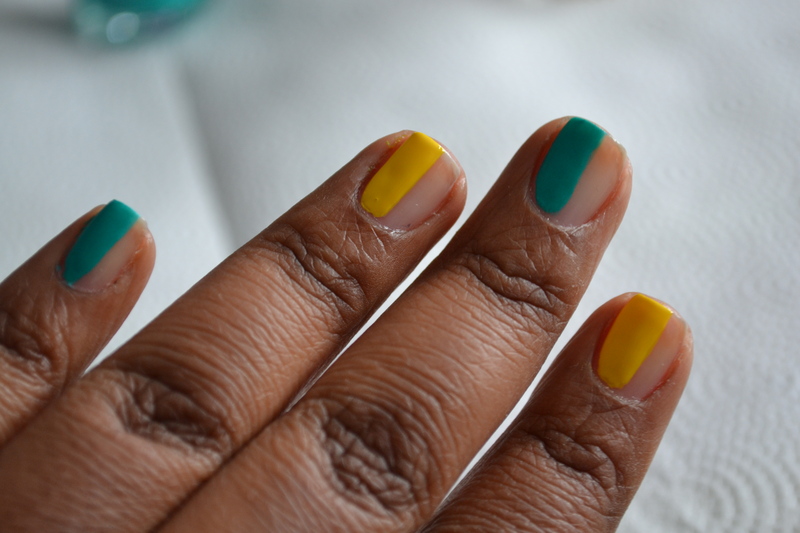 Step 2: With the opposite color, polish the other side of your nail. 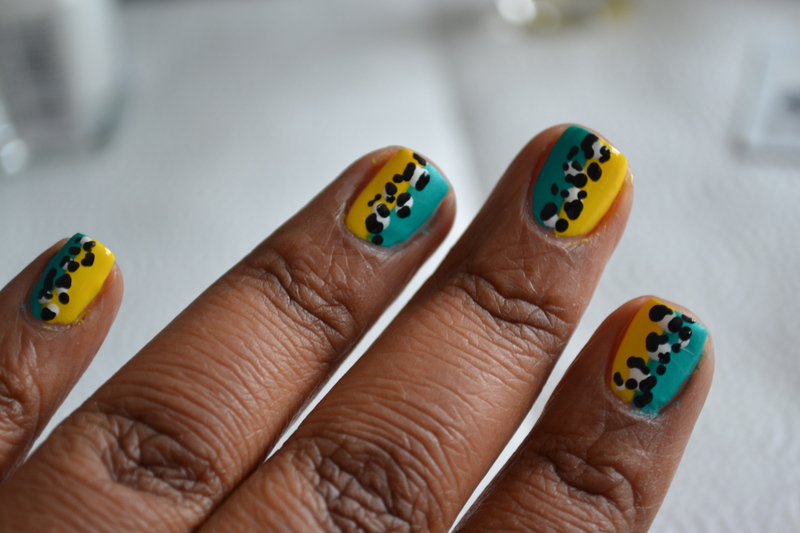 Step 3: Using your dotting tool, toward the center of your nail, put white dots near that area. You want the dots to be a little blobby. 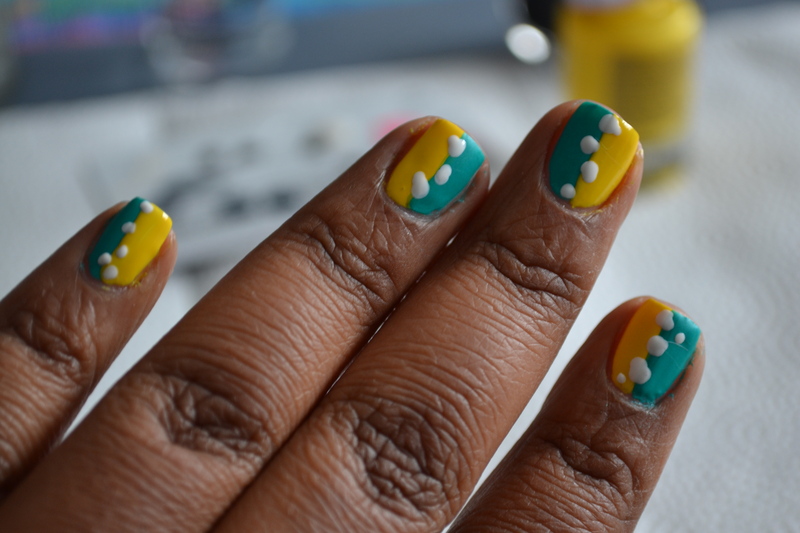 Step 4: Also using your dotting tool (try using a smaller size for this step) put black “C’s” around the white dots. Then, to take up some of the space put some black dots. Step 5: Put a coat of Fairy Dust to add some sparkle. 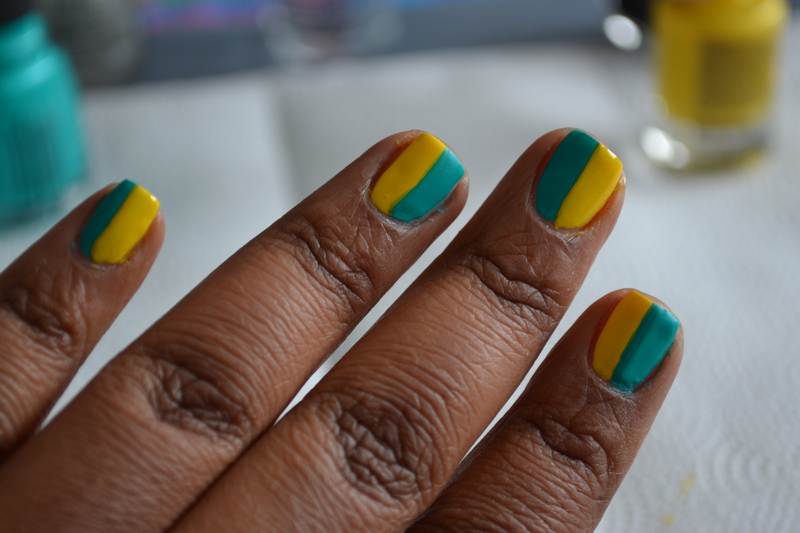 Step 6: Put your top coat on and you’re finished.